As a deep chill grips much of Texas, the state's electric grid operator is asking consumers to reduce their energy use, though a brief threat of rolling blackouts has been averted. Grid conditions have returned to normal, the Electric Reliability Council of Texas says, but grid operators are urging consumers to continue conserving electricity amid the cold snap. The Electric Reliability Council of Texas has canceled its emergency alert, Robbie Searcy, the council's spokeswoman, said in an email, signaling further improving conditions on the grid. As chilly weather grips much of Texas, the state's electrical grid operator is asking consumers to reduce their energy use, though it says a brief threat of rolling blackouts has been averted. 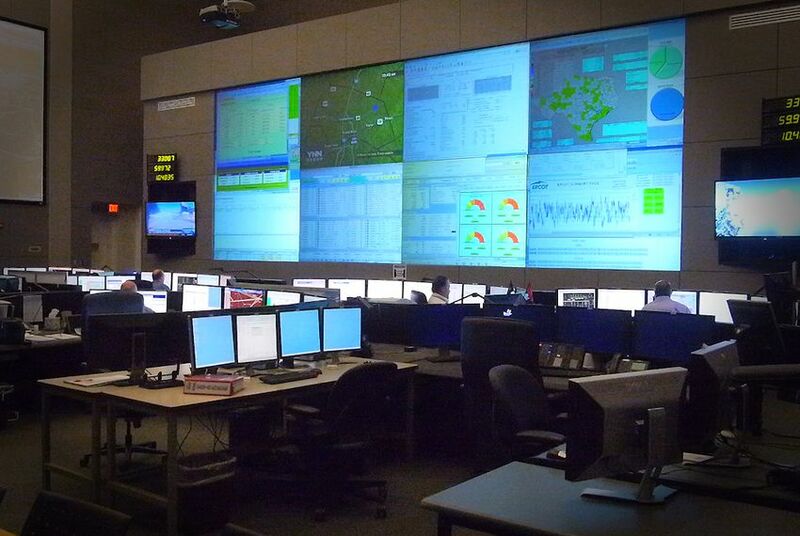 In an alert sent at 8 a.m., the Electric Reliability Council of Texas, which operates the grid covering 85 percent of the state, issued an emergency alert, meaning the grid's power reserves had dropped below a comfortable threshold. But the situation, ERCOT said, was improving. Less than an hour earlier, ERCOT issued a "power warning," which is just a step away from rolling blackouts — controlled, temporary interruptions of power service — due to high demands that threaten to exhaust capacity. “We have brought on all available electric generation and have deployed all demand response programs that have contracted with ERCOT to reduce electric use in emergency situations,” Dan Woodfin, ERCOT's director of system operations, said in the latest news release. “Conditions appear to be improving at this time, and we do not expect to implement rotating outages this morning." The scare was apparently caused by chilly temperatures across the state, which prompted consumers to ramp up energy use, said Robbie Searcy, ERCOT's spokeswoman. It came amid a heated debate among state regulators and lawmakers about whether Texas should transform its wholesale energy market from an "energy only" to a "capacity market" — a shift intended to improve reliability that would potentially increase electricity rates. The last grid-wide blackout was in February 2011, when a deep freeze caused a large number of the state’s power plants to fail. Those blackouts generally lasted a few hours.